Every Friday the Wall Street Journal has a crossword puzzle contest. It’s a meta puzzle based on the solution to the puzzle. It’s always tricky and John and I usually work on it together. So what better food for our mental gymnastics than fish?! Brain food helped! We sent our solution to the puzzle in and hope we will win the prize this week! 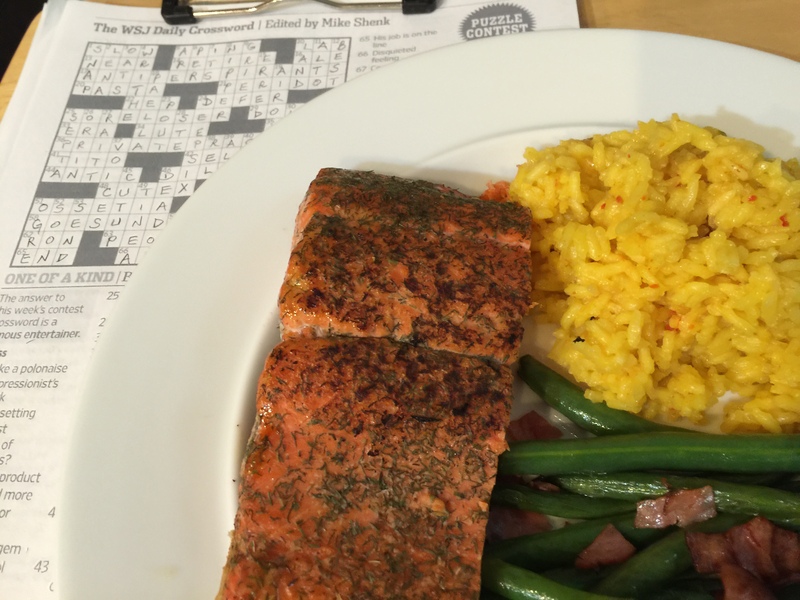 This entry was posted in Fish, pescatarian, Vegetables and tagged green beans, rice, salmon. Bookmark the permalink.